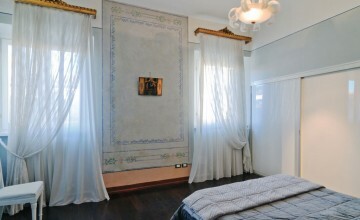 The apartment is located between Corso and St. Francis square, on the third floor of a historic building. 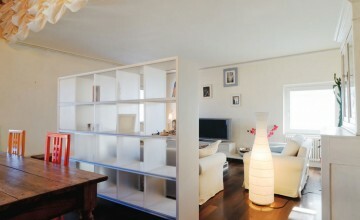 It measures 128 sq.m. 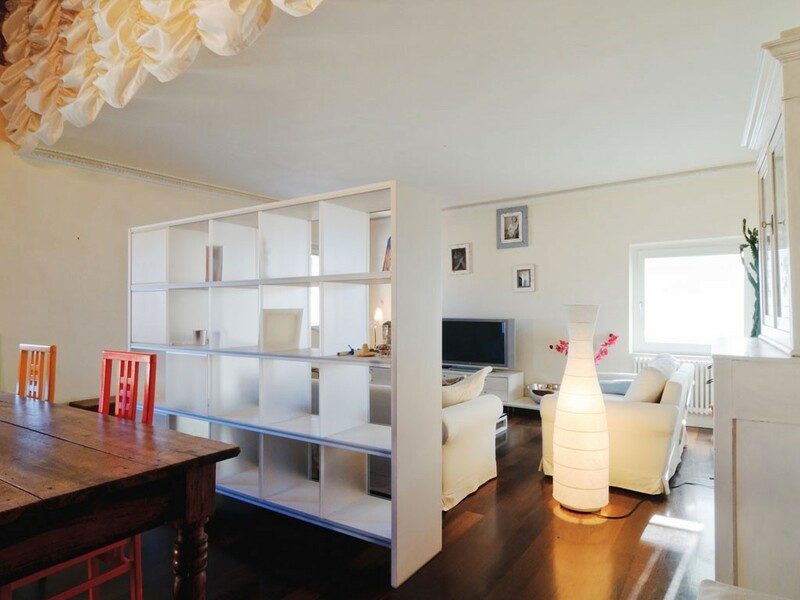 which were well distributed and thus seams much bigger. 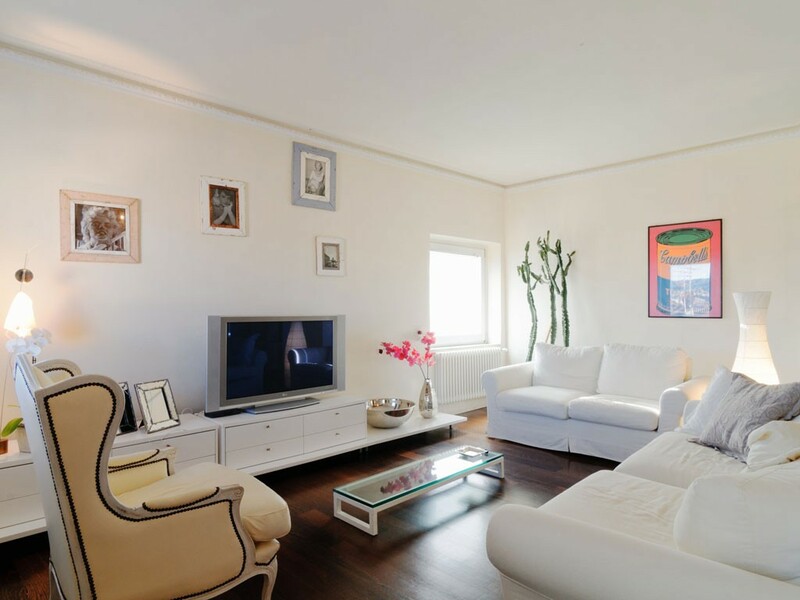 There is a large sitting room, even bigger dining area with kitchenette, store, two bedrooms, two bathrooms and two balconies. 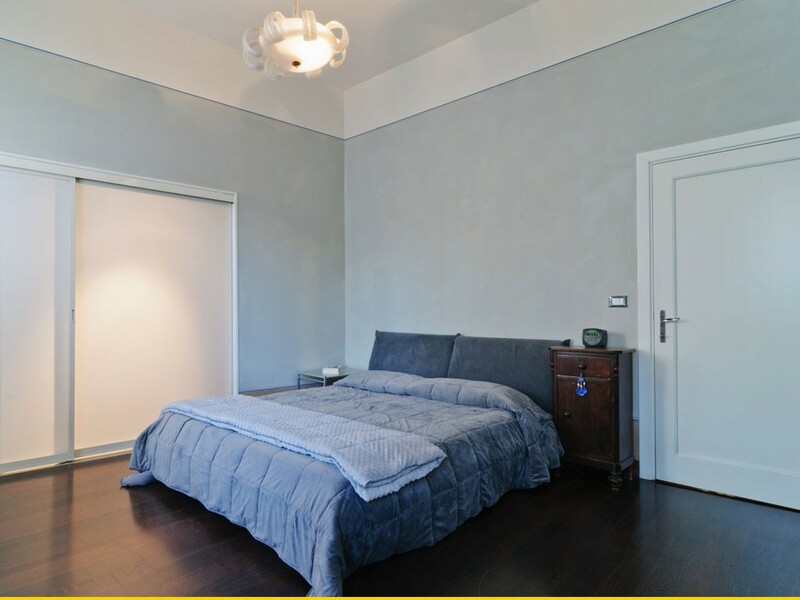 Restoration and decoration works were done under supervision of a talented interior designer, who have chosen best quality materials and design furniture, but also left some of the original features. 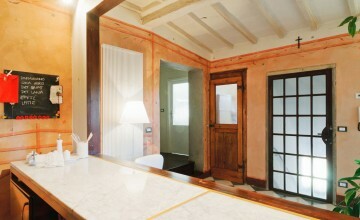 Floors are in solid and precious wood, some walls feature exposed stones, others have frescoes. 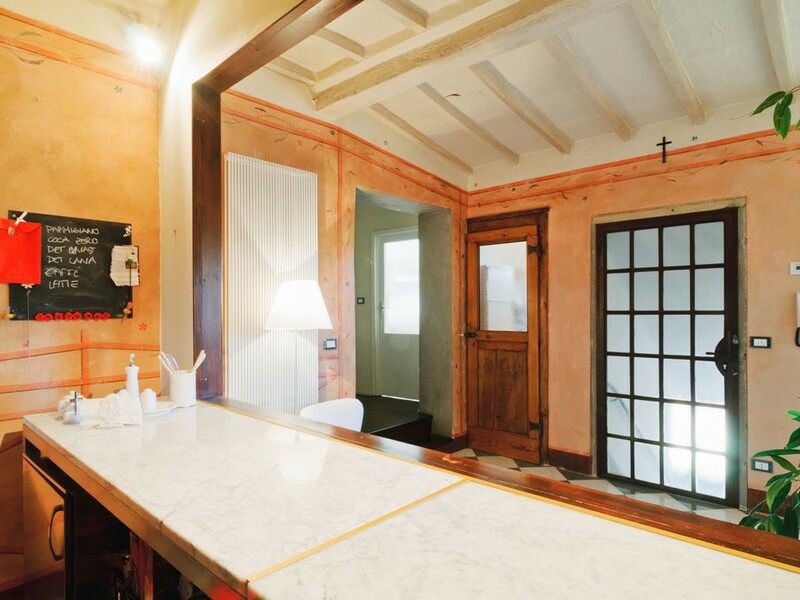 The custom-made kitchen is a real jewel. 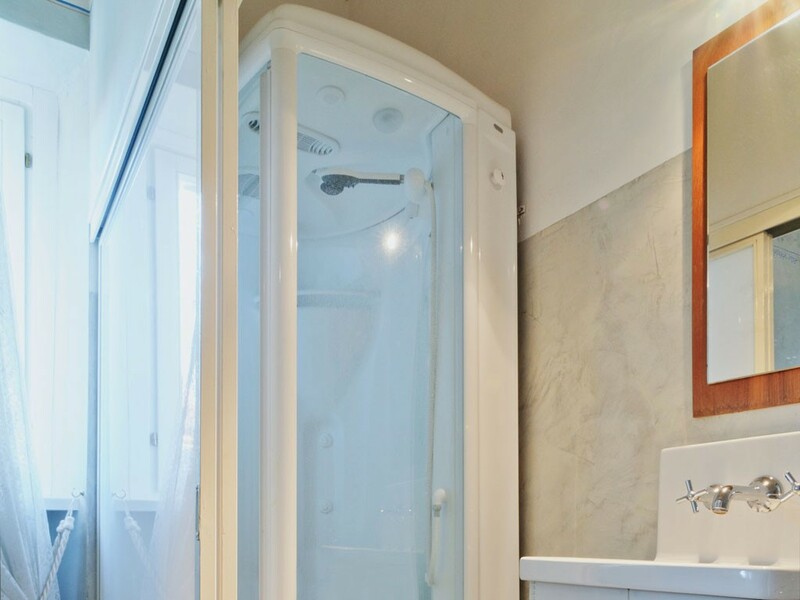 One of the bathrooms have sauna shower, while the other was equipped with a design bath tub. 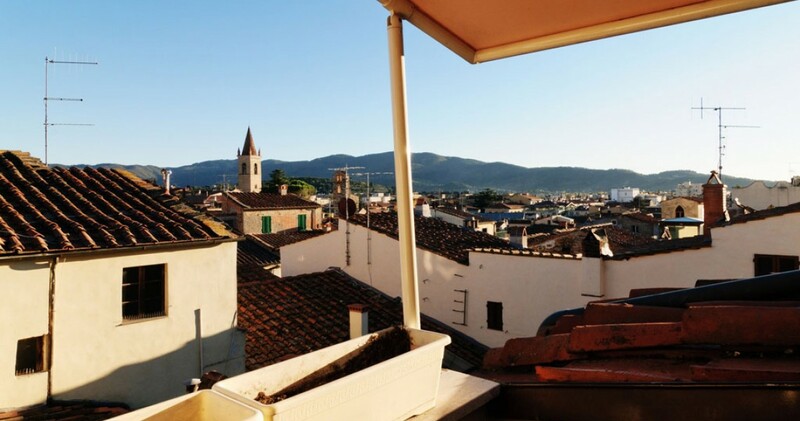 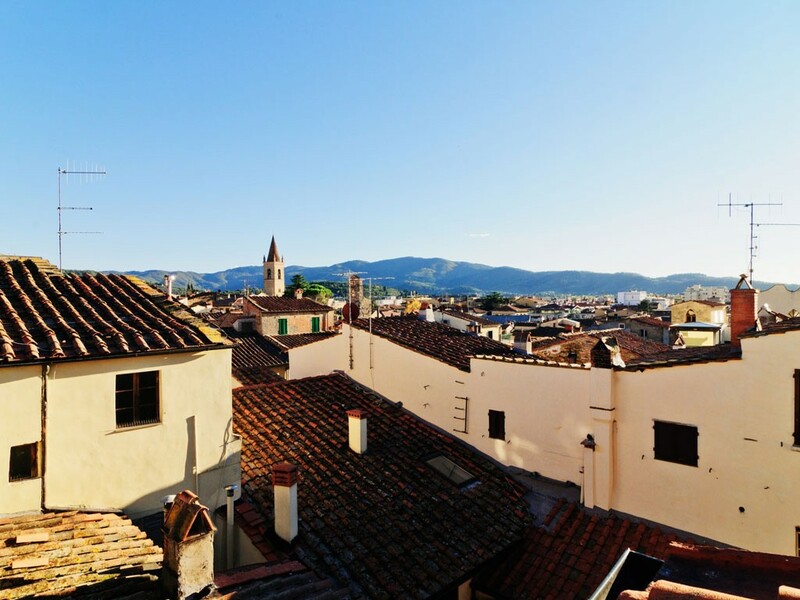 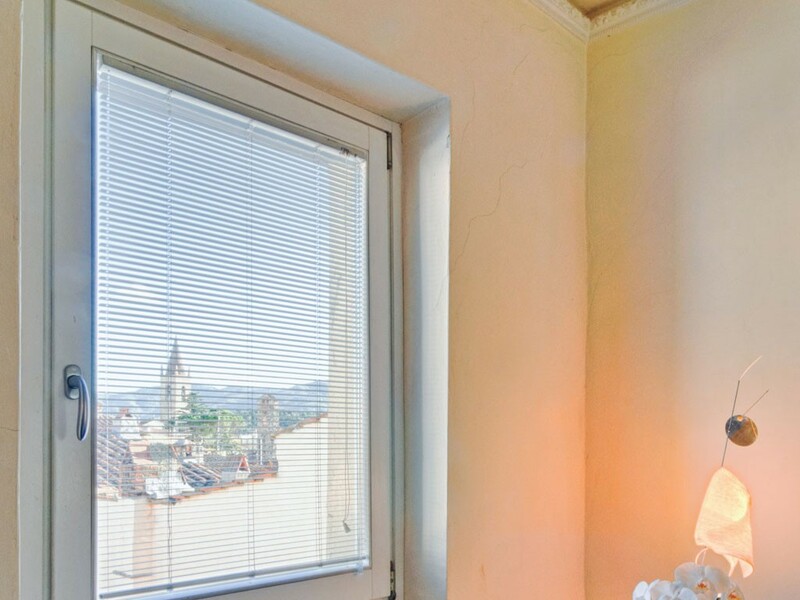 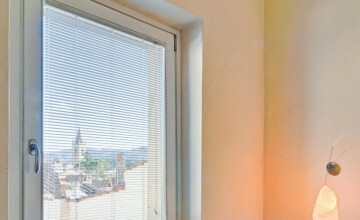 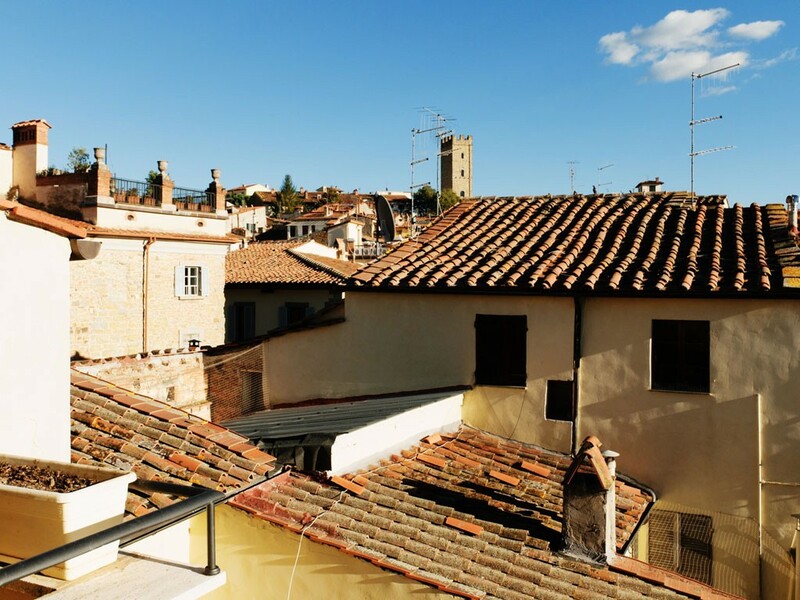 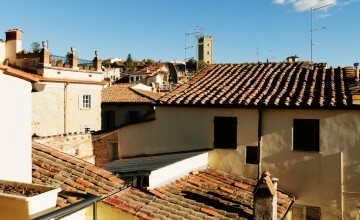 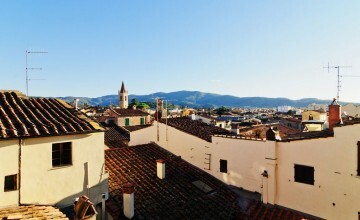 Both balconies offer fantastic views of the town centre with Duomo and Comune majestic buildings. 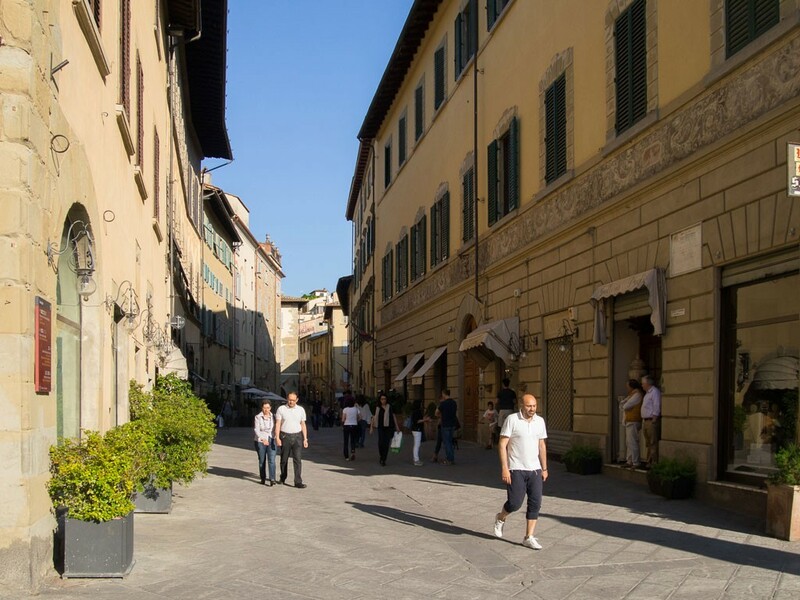 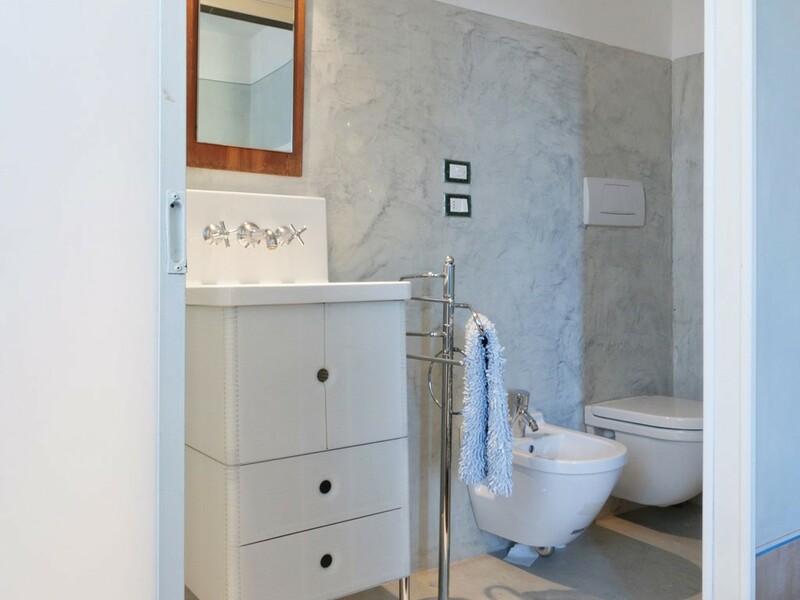 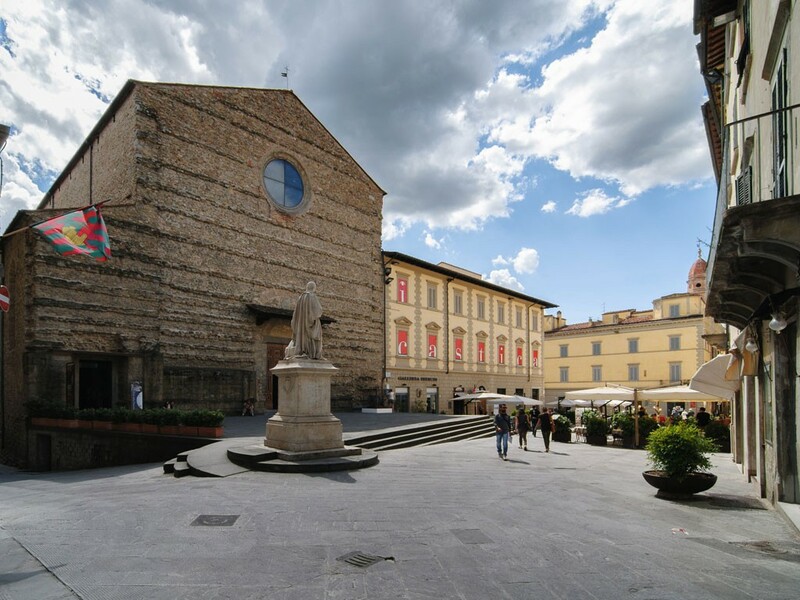 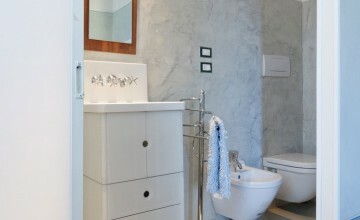 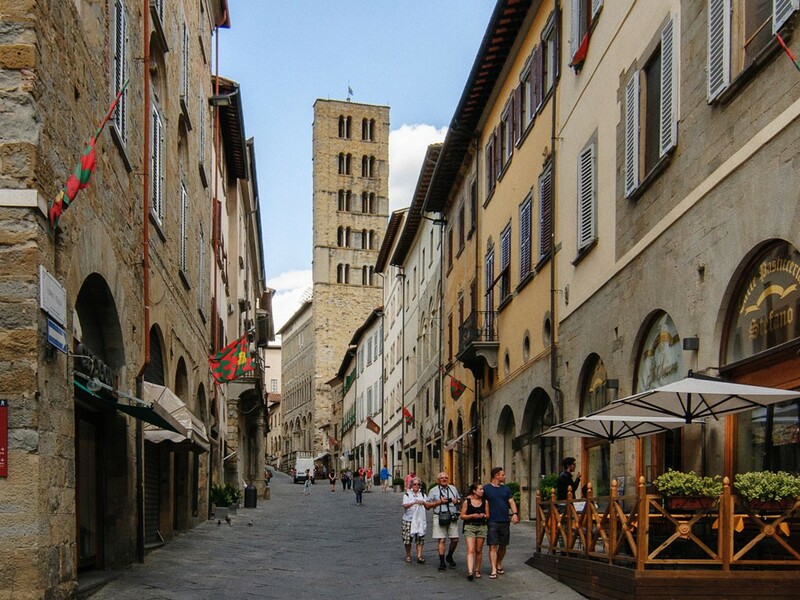 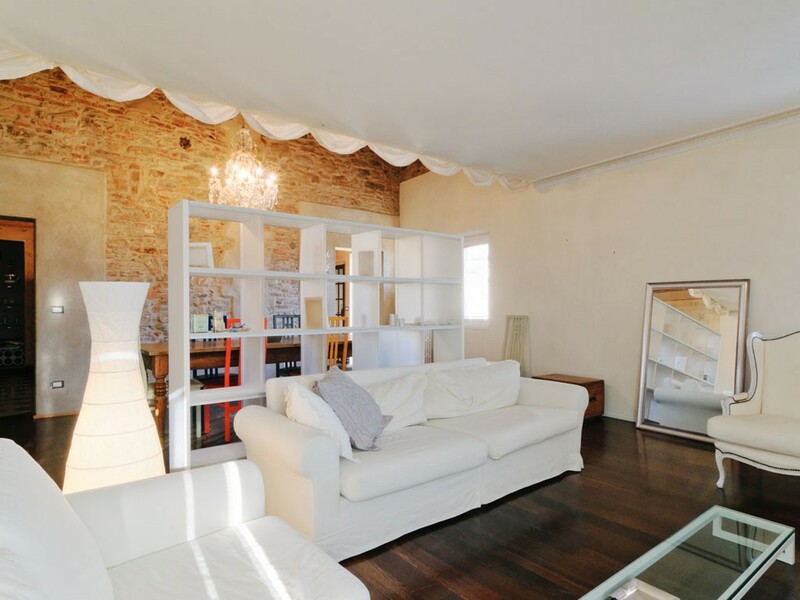 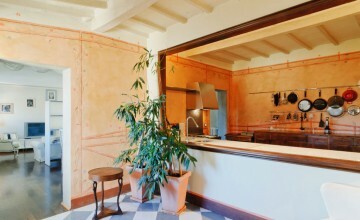 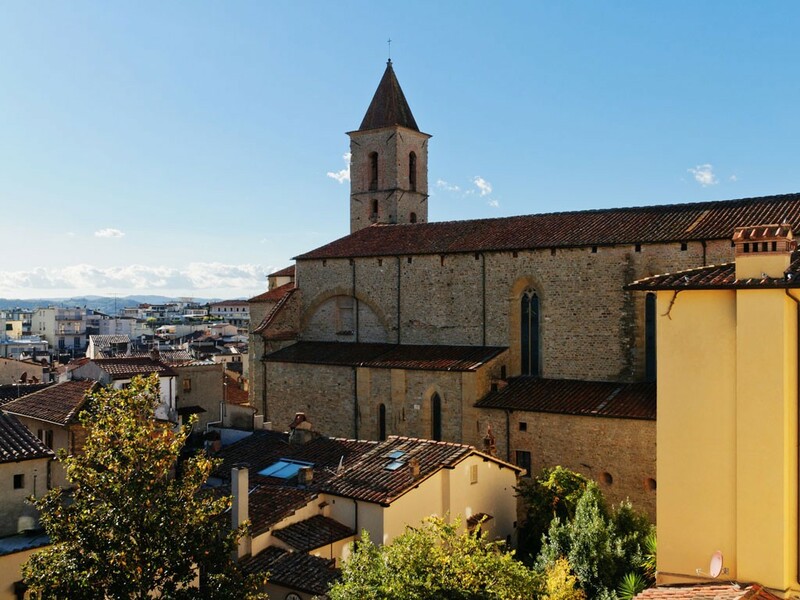 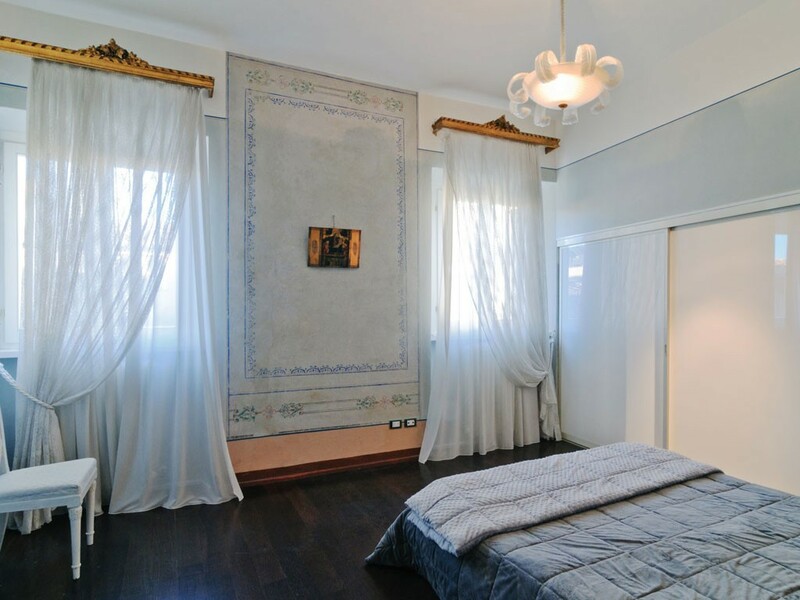 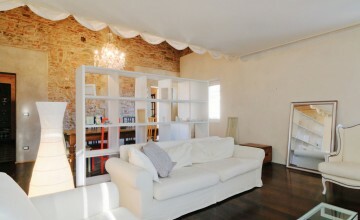 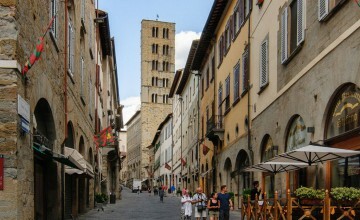 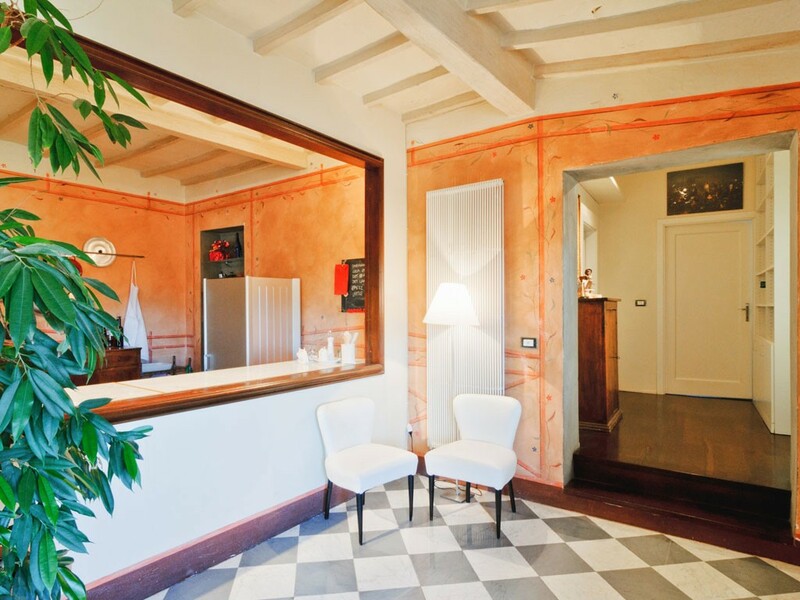 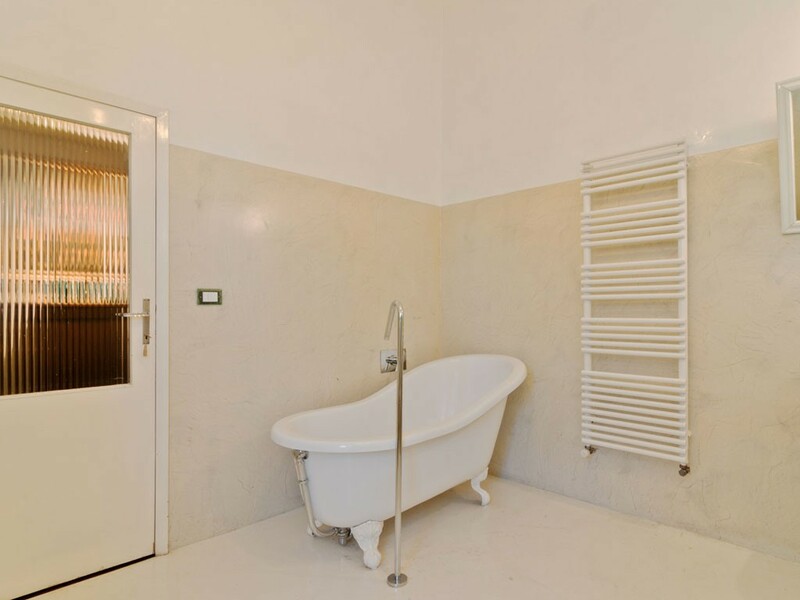 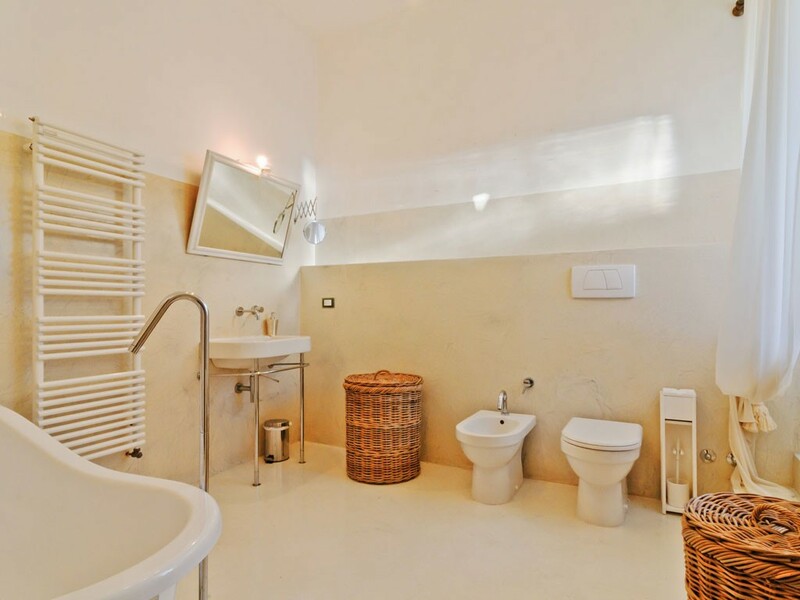 It is a beautiful residence with modern elements inserted in the most prestigious part of historic centre of Arezzo. 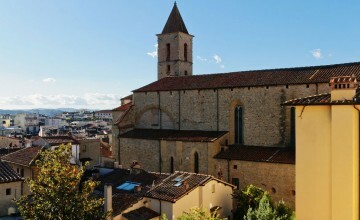 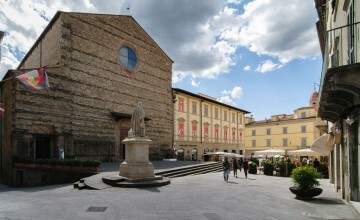 St. Francis church with famous frescos of Piero della Francesca stands at few metres distance. 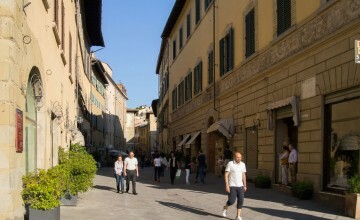 Most famous antique store are located right below. 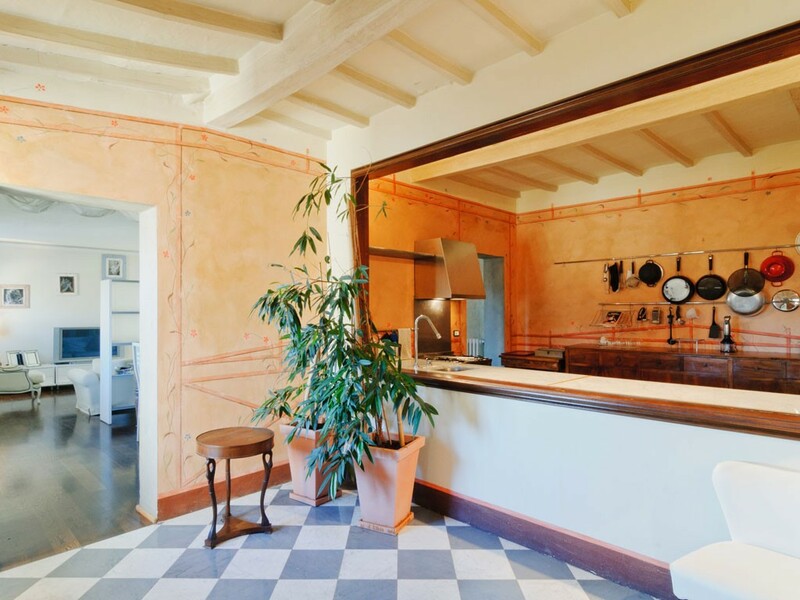 Also, the most popular bars and restaurants are here.